Colorful vignettes dedicated to the regional history of Southern Oregon and Northern California. 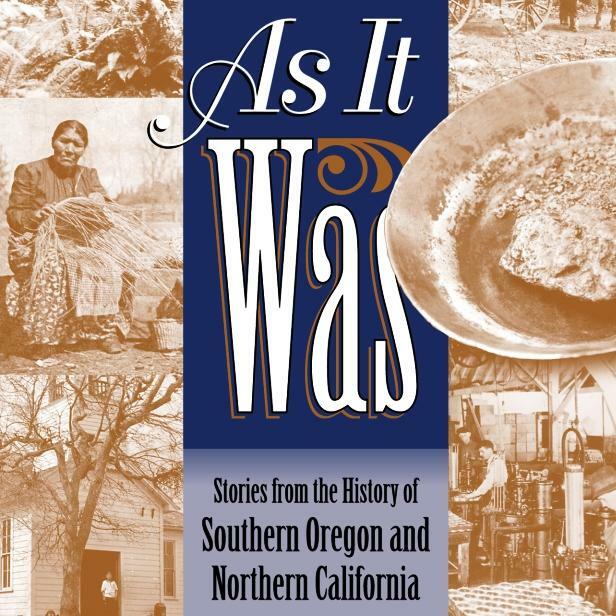 As It Was is an all volunteer effort -- produced by Raymond Scully and narrated by Shirley Patton in partnership with writers from the Southern Oregon Historical Society. If you have a writing background and would like to submit an As It Was essay for consideration, email your written piece to mrkrt@ashlandhome.net. A collection of As It Was essays is available in a high-quality paperback book at the JPR Online Store. Each episode is also available below. The State of California ratified its constitution in 1879. Its Article One, Section Eight required that each county form and summon a grand jury at least once a year. The idea was to bring together discreet and thinking men to protect and defend the public interest. Shasta, once known as the Queen City of Northern California, was the business and transportation center of pack strings and freight wagons. In 1923, Grants Pass claimed to have invented the auto camp, based on Chamber of Commerce records showing the first camp opened in May 1915. It was late January 1881 when a woman who had imbibed “too much tangle-foot” became the first occupant of the jail in the new city hall in Jacksonville, Ore. In March 1965, the owner of Novelcraft Plastics in Gold Hill, Ore., Lew Trickey, ordered 3,500 pounds of coconuts from San Francisco said to be “fresh from the tropics.” Trickey wanted the coconut husks for his craft business. The first large hydroelectric facility on the Klamath River entered service 100 years ago, providing an abundant source of power for residents of Northern California and Southern Oregon. The dam, known as Copco 1, generated 11 megawatts of electricity. As It Was: Elmer Bankus Sustains and Improves Brookings, Ore.
Elmer Bankus was a land developer, businessman, and philanthropist who rebuilt the Brookings community after its mainstay employer, the C & O lumber mill, shut down in 1925. When the Applegate family moved to Yoncalla, Ore., in 1848, they made friends with Chief Halotish, or Halo, leader of the regional Kalapuya tribe. He and his family helped the Applegates farm and cared for their livestock. Most of the stories from the old mining camps of Waldo and Allentown died with the miners who lived there, but John Eggers remembered a few. Does natural mineral water cure rheumatism? Early southern Oregonians believed it did. At one point, the Ashland area had five spring-water spas, one of them on Ashland pioneer Abel Helman’s property near today’s Lithia Park. As It Was: Railroad Arrival Brings Boom to Klamath Falls, Ore. The advance of the California Northeastern railroad from Weed, Calif., toward the Upper Klamath Basin in 1908 brought an end to hauling freight by pack trains or in wagons during the long winter months. Early fur trapping companies established outposts, known as forts, before the Oregon Trail opened. One example was the rendezvous point along the Umpqua River known as the “Old Establishment” or “McKay’s Old Fort,” built in the early 1820s by the North West Company, a Canadian firm active in the fur trade from the 1780s to 1821. Maude Walker was born in 1881 into a not-so-ordinary childhood at an isolated homestead overlooking Pistol River, on Oregon’s South Coast. A year before the United States entered World War I, cars were already making an impact on the country. It was 1916 and the three-day Fourth of July celebration in Ashland drew 60,000 visitors. For settlers along the upper Coquille River in the 1800s, mail delivery was tenuous. The closest post office was in Empire City, a present-day district of Coos Bay, Ore. The round trip took about four days, and generally depended upon the generosity of local farmers who sporadically sailed downstream to sell their produce. In the 1880s, Sterlingville, Ore., was a busy town of several hundred people working in the mines, farming and running businesses. The town had a post office, school, shops, several saloons, and the largest hydraulic mine in Oregon. Travel writer James Mason Hutchings, known as the “Father of Yosemite,” complained about Southern Oregon roads when he visited in 1855. As It Was: Earl Miller Leads Progress in Jackson County, Ore. Serving as either Medford mayor or Jackson County judge between 1948 and the 1970s, Earl M. Miller believed a healthy community must have good schools, good roads, and good water.